Small portion of existing Boeing 777-300ER (77W) fleet also to be refitted. National carrier Singapore Airlines unveiled its next generation of cabin products, which will be deployed on its Airbus A350 XWB aircraft which recently celebrated its first flight on June 14th, and is due to enter service in late 2014. 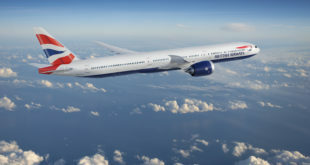 The airline will also initially introduce the new cabin products, progressively, on eight Boeing 777-300ER (B77W) aircraft, at a cost of US$ 150 million. The airline has 19 B77W in its fleet and another eight on order. It is not clear if the airline will retrofit existing 77Ws or introduce the new cabin on the new aircraft. The airline’s total fleet is 102 aircraft comprising of A380s, Boeing 777-200ERs, 777-300s, 777-300ERs, A340-500s, and A330-300s. The first passengers to experience the new cabin will be on the 777-300ER service between Singapore and London Heathrow starting from September. The airline has worked for more than two years with world-renowned design firms to develop the new products. 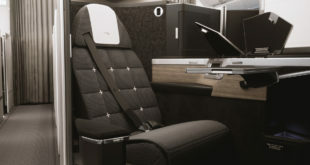 BMW Group DesignworksUSA assisted with the development of the new First Class, James Park Associates assisted with Business Class and Massive Interactive with the in-flight entertainment system interface. The new Krisworld IFE system is uses the new Panasonic eX3 system which the airline will be the launch customer of on the A350 XWB and is the first to offer on the 77Ws. The new KrisWorld features larger LCD screens and video touch-screen handsets across all classes. LCD screens will increase from 23 to 24 inches in First Class, 15.4 to 18 inches in Business Class and 10.6 to 11.1 inches in Economy Class. 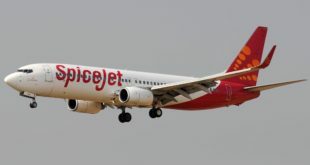 Economy Class customers will also be able to browse through the more than 1,000 on-demand entertainment options by swiping or scrolling through the touch-screen monitor, while first and business will have touch-screen handsets. Passengers will be able to multi-task among the varied entertainment options available. For example, they may watch a movie, while at the same time use the handset to keep up to date with the latest news headlines or track the aircraft’s flight path. Alternatively, customers may use the handset as a touchscreen trackpad to navigate KrisWorld. New features such as “Quick Search”, where a flick of the handset pulls up a playlist of entertainment choices, are also being introduced. The new ‘Notification Centre’ on the KrisWorld dashboard contains information relevant to the flight, reducing the number of on-board announcements, allowing uninterrupted viewing of video programs. Passengers will also experience greater personalisation, with KrisWorld providing content recommendations based on passengers’ preferences. They may also rate movies and see how others have rated these. Singapore Airlines’ new First Class seat features a new fixed-back shell design with curved side panels to provide a clear demarcation of personal space, for added privacy. At 35 inches in width and with an increased bed length from 80 to 82 inches, it is one of the most spacious First Class products in the sky. An ergonomically sculpted cushion and improved adjustable headrest have been introduced for greater seating comfort, while new features such as a padded headboard for extra support and an additional mattress layer ensure passengers enjoy a comfortable rest. Little but important features have been added. For example, the seat now boasts a stylish passenger control unit that includes a new switch to provide passengers easier access to turn off their in-flight entertainment monitor, and for cabin crew to do so without disturbing passengers when they are resting. New lighting was developed after extensive scientific research. In addition to reading lights, the seat features ambient lighting, which not only accentuates the seat design but also serves as a night light in a dimmed cabin. The seat features an all-in-one panel including in-seat power supply, USB port, eXport and HDMI ports allowing passengers to view content from personal media devices. Singapore Airlines retains its leadership in this class with its 1-2-1 configuration which rivals the first class of most airlines. The new Business Class seat offers greater recline at 132 degrees and features an improved ergonomic seat cushion. When converted, it becomes the industry’s widest full-flat bed, at 78 inches in length. In addition, the new seat offers two new seating positions – ‘Lazy Z’ and ‘Sundeck’ based on in-depth research and feedback from passengers. The seat offers increased stowage space, with an amenity stowage area on the side console and a laptop stowage area. The lighting, LCD monitor on/off switch, and all-in-one panel from the first class cabin is added. From photographs, it appears Singapore Airlines has retained its 3-3-3 configuration which offers the widest economy class seat in the world. The new seats are of a ‘slimline’ type which provides a feeling of increased personal space and legroom. Each seat comes with new backrest seat cushions with side bolsters for better back support and an ergonomically sculpted headrest cushion offering better neck support. The IFE is on a 11.1-inch touch screen accompanied by a video touch-screen handset.